A Court has found that the previous owners of this outlet store shopping website, CHANEL BAGS OUTLET, had been selling replica Chanel handbags. 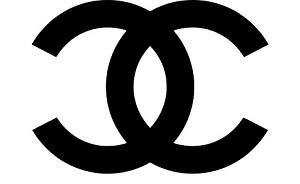 As a result, the Court’s decision removed ownership from the replica bag sellers and then granted CHANEL ownership of the domain, chanelbagsoutlet.com, to prevent it from being used for illicit purposes again in the future. Replica outlet stores have been found using the internet to make quick profits by selling fake goods to unsuspecting consumers. Designer handbags and luxury items are some of the many products that have been counterfeited. Unfortunately, CHANEL's grand time-honored elegance and popularity attracts the attention of the unscrupulous replica trade which has often been reportedly being run by large criminal organizations who believe that they can make huge profits on copying handbags by using low grade materials and unskilled workers. Skimping on quality to lower manufacturing costs, many replica factories use low-grade materials, and exploit lesser skilled workers. Regardless of assurances repeatedly pronounced by many online replica sellers on their outlet shopping websites, the advertised low prices for fakes may in reality be rather high prices for illegal goods. A replica Chanel handbag will not deliver the anticipated exceptional quality of a genuine. For details on genuine CHANEL, visit CHANEL.com or a CHANEL boutique.